A pastor at a Belgian church had a hunch about an artwork that hung in his parish. Now, he may never find out the truth. 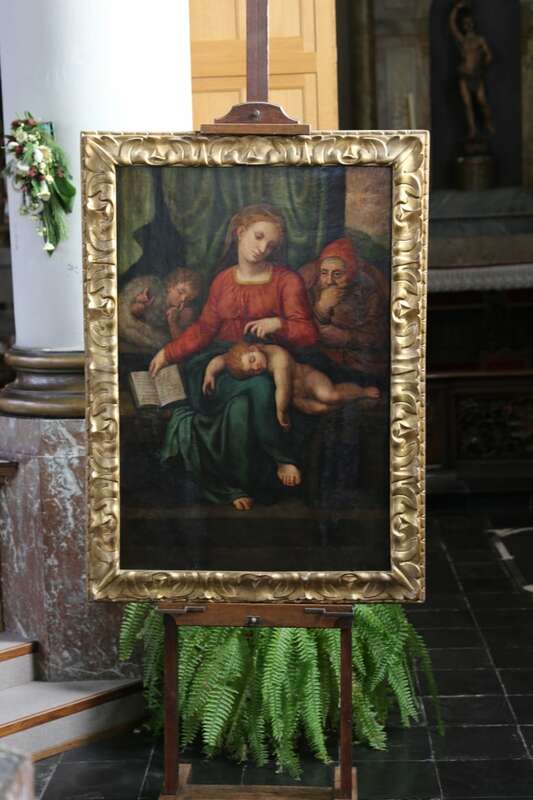 The 16th-century painting, known as The Holy Family, was donated to the St. Ludgerus church in Zele over a decade ago. No one thought much of it, but Jan Van Raemdonck had a strong suspicion it was painted by Michelangelo. Its authenticity was about to be assessed. Then, the painting was stolen. Here is part of Van Raemdonck's conversation with As It Happens host Carol Off about the missing painting. Have you heard anything new from the police? Do they have any leads? Yesterday, I had two leads. One of a lady who told me that a few weeks ago a man with the same clothing as a man who tried to enter the church Thursday has been seen in the chapel. And another one told me that almost the same man has been seen with a great package on Friday in the morning not so long after the theft. So you've turned all that new information over to the police. How did you first learn that the painting ... was stolen? Friday morning, two ladies who normally put the flowers at the alter called me that the back door was opened and the painting was gone. I was very surprised. First I thought it was a joke, but then I saw it was reality. Can you describe it for us? What is the picture of? The picture is of the holy family — Mary, Joseph, the sleeping child Jesus, and St. John the Baptist as a little child. What is it about the painting that made you start to wonder whether if it was done by Michelangelo? At first I only thought it was a beautiful painting and [a] very old one as it's painted on wood. But then, someone told me there is a rumour. They say that it could be of the circle of Michelangelo. So I started to study about it and I found out there was another painting of Michelangelo in the Uffizi, in Florence, which has the same topic, but a little bit different concept. And then I found out that the title is The Madonna of Silence. 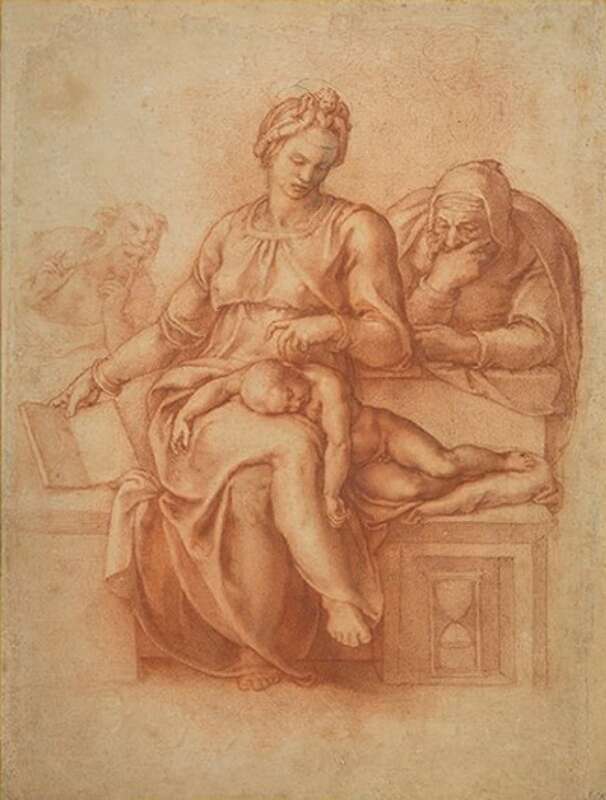 Once I knew that title, I could find many, many other paintings, which are very similar, from Marcello Venusti and also one drawing from Michelangelo from the collection of the Duke of Portland in Welbeck in England. The more I studied about it and read books and so, I thought this must be really a work of Michelangelo. You contacted a Michelangelo expert who was coming to see the painting and to begin the determination if it was a Michelangelo, is that right? Yes, the first expert who came here, I told him that at the Book of the Gospel [in the Bible Mary's holding in the painting] you can only read the first letters. The other letters are invisible, unreadable. And I thought it was a B so it could be the beginning of the main conversation of the Gospel of Matthew. But he said, "No, no. It's the B of Buonarotto — the family name of Michelangelo." Wow, it must have been quite a moment when he said that to you. Yes, he was really convinced. And so, it takes a long time to determine if something is an original Michelangelo, an original anything. So were you keeping it a secret? Did people know that your church might be holding a Michelangelo? Some people — the board of the church, some friends, my family — knew that I was writing a book about Michelangelo and this painting. But mostly, I didn't say it to people because it's too dangerous. I was maybe a little bit stupid to preach about the painting during the masses of Christmas. I haven't told it was a Michelangelo, but I told that it was a very beautiful old painting, maybe Italian, maybe from the 16th century. And maybe someone thought, "Oh, in that case, I will take it for me and I can sell it to an antique seller." Are you still writing your book, your fictional book on this painting? Yes, since, let's say, June, I was writing about this painting. Will there be a plot twist that the painting gets stolen? Yes, I'm a novelist so I have a very vivid imagination. In any case, I will say that the painting is found or something. Written by Sarah Jackson and John McGill. Interview produced by Sarah Jackson. Q&A has been edited for length and clarity.